Teniente Rey No. 8, e/ Oficios y Mercaderes. Habana Vieja. 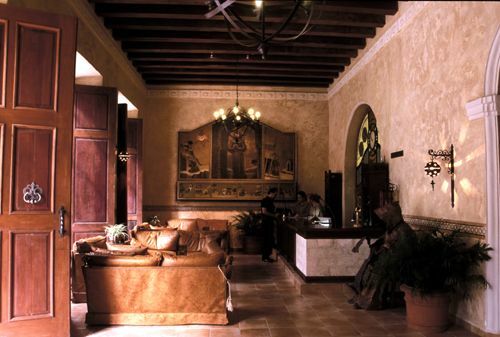 Hotel Description: On the narrow alleys of Old Havana, the Hotel Los Frailes Inn stands just a few steps away from the majestic convent of Saint Francis of Assisi and the populous Old Square. The former mansion of the fourth Marquis and Captain of the French Navy, Don Pedro Claudio Duquesne, once visited by the finest nobility, ecclesiastical dignitaries, military authorities, renowned artists, the best of Cuban and foreign society, has become today the perfect place to enjoy the voice of silence and meditation in the pleasant afternoons of the old city. Right at the entrance, a copper sculpture of a monk welcomes visitors, inviting them to an imaginary trip to a medieval abbey. 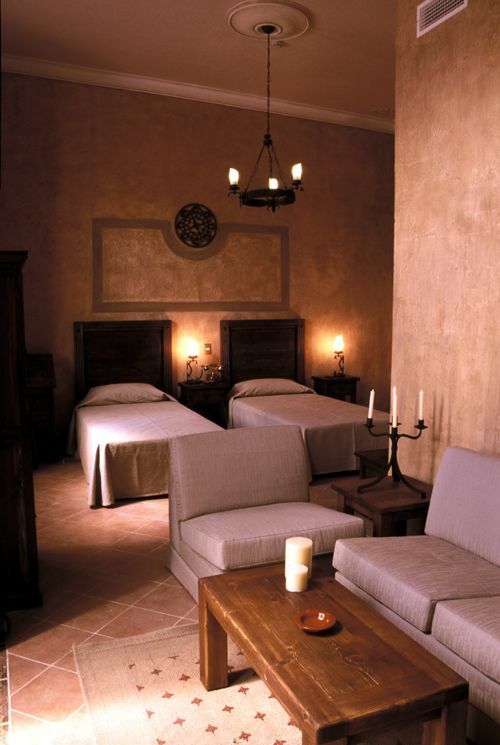 Its lobby bar, comfortable rooms - only the 4 mini-suites have balconies - and quiet courtyard, decorated with outstanding works of art, its enigmatic and intimate atmosphere combined with the suggestive sound of a water fountain, invite you to contemplation and meditation in this exclusive inn. Nearby places of interest: Saint Francis of Assisi Square, Basilica of Saint Francis of Assisi, Museum of Religious Art, Museum of Rum, Cafe Taberna "Benny Moré", Mesón de la Flota Restaurant, Plaza Vieja (Old Square), Santo Angel Restaurant, House of Alexander V. Humboldt, Church of San Francisco de Paula, Historical Museum of Sciences "Carlos J. Finlay", Convent of Saint Claire. Nearest airport: Havana’s "José Martí" International Airport, 20 Km./ 12.42 miles. Hostal Los Frailes is a very unique and one of the best cuba hotels in Old Havana. Budget, City, Historic. 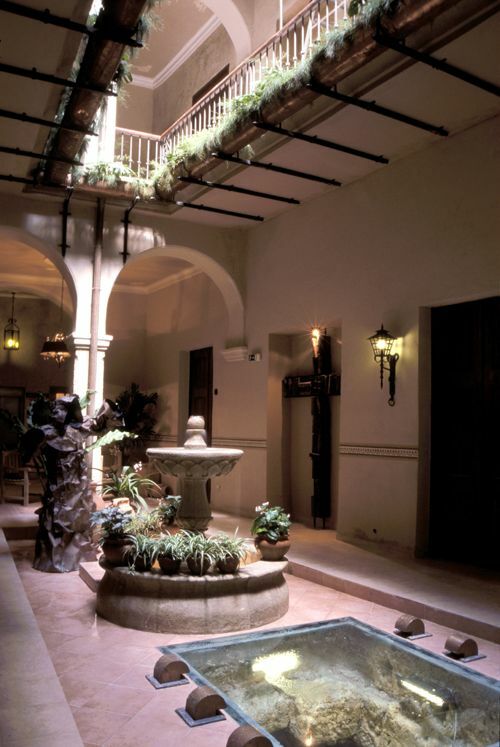 Hotel Los Frailes - Hotel Details: Address: Calle Teniente Rey No. 8 e/ Mercaderes y Oficios. Ciudad de La Habana Number of Rooms: 22 Distance to Airport: 20km Breakfast included in price. Los Frailes – Room: Standard Room Air Conditioning, Phone, Satellite TV, Safety Deposit Box, Minibar, Private Bathroom, Twin beds, Power 110V/60Hz. Check In Time: 02:00 PM Check Out Time: 12:00 M. Find your accommodation in our cuba travel network of hotels. No reviews for Hostal Los Frailes yet.